Middle East Forum President Daniel Pipes joined Breitbart London Editor Raheem Kassam on Wednesday's edition of Breitbart News Daily on SiriusXM to talk about Republican nominee Donald Trump's Muslim immigration policy. Kassam opened the discussion by mentioning Trump's announced trip to Mexico on Wednesday to meet with Mexican President Enrique Peña Nieto, which Pipes described as "a very high-risk undertaking." "The sides begin so far apart that unless they have some kind of groundwork in place, some kind of preliminary draft agreement on what they're going to say, it could work out to the detriment of Donald Trump," Pipes explained. Kassam quoted Nigel Farage's observation that Trump was approaching politics with a "businessman's strategy of trial and error," which doesn't work in politics, because "people always hold you to your previous positions." Pipes offered a similar observation in a Washington Times article several weeks ago, concluding that Trump was learning "slowly and erratically from his mistakes." "It took him on the order of eight months to get there, but he did get there," Pipes said to Kassam. "And, as you correctly point out, in politics you can't always take that kind of time to change your positions. I'm delighted to see the change in position. I think it's a very important one. But, one need hardly point out, having a complete ban on Muslims was a preposterous idea, just like getting Mexicans to pay for a wall is a preposterous idea. You have to back away." 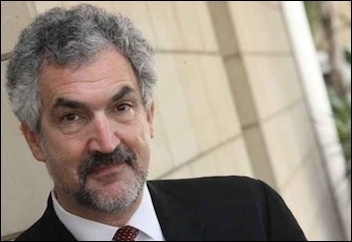 Middle East Forum President Daniel Pipes: "[T]he only workable solution is that you keep out the Islamists." Pipes clarified that he thinks Trump's earlier immigration proposals were both practically difficult and philosophically troubling. "There's a church in Germany where Muslims convert to Christianity. What are you going to do about that?" he asked. "It's also immoral. We don't judge people, these days, any more, by their skin color, by their religion, or by any other such group characteristics. We look at individuals." "I've actually drawn up a very long list of questions to ask, to discern who is an Islamist," he said. "It might seem awfully difficult, but if you think about it, if you give it enough attention, enough time, enough resources, you can do it. You can find out who's who. We're not doing that now." A list of Pipes' questions, plus a collection of Islamist screening questions proposed by others, can be found at DanielPipes.org. As an example, Pipes noted that the San Bernardino couple "had posted, on Facebook, many of their views, but the law-enforcement community was prohibited from looking at Facebook." "Is this a serious way to protect ourselves?" he wondered. "We have to ask questions, we have to do research, we have to find out who's coming into the country." "The key point is, it has to be done on an individual basis. We don't judge people by how they dress, how they look, what religion they are. We judge people on an individual basis." Kassam agreed, pointing out that while he wouldn't describe himself as a practicing Muslim, he does come from a Muslim family, so a blanket ban against Muslim immigration would keep him out of the United States. "I think it's good that this policy is being developed," Kassam said. "We don't want any softening on the approach to Islamists. I think you and I can both agree on that." Pipes said that his Middle East Forum has "become more and more of an operational outfit, as well as an intellectual one." The Middle East Forum is seeking to "change the U.S. government's approach to the Palestine refugee question," says Pipes. "We're active in Congress, we're active in courtrooms, we're active on the campus. We're really bursting at the seams, in terms of activities," he said. 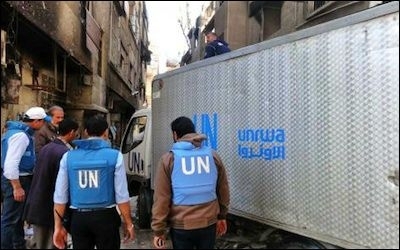 Among the Forum's activities in Congress is an effort to "change the U.S. government's approach to the Palestine refugee question, which has been in amber now for decades, sixty-plus years. It could use a shaking up." Pipes also said his group is "looking at donations by Islamist leaders in the United States to politicians, tracking who is giving to whom." "It's not a big surprise, it's not a lot of money, in the larger scale of things – but it is significant, and it is noteworthy, to see who the Islamists see as their candidates," he said. "It's quite striking that Hillary Clinton and Tim Kaine both have received significant amounts, and their Republican counterparts have not. In particular, Mike Pence has not, since he's been in politics a long time." Kassam mentioned the Middle East Forum's work on tracking Saudi and Turkish funding for mosques in the United States and Europe. Pipes noted that Rep. David Brat (R-VA) has "introduced legislation that would say there needs to be reciprocity." "If there isn't freedom of religion, and we can't do things over there – i.e. Saudi Arabia, which has no freedom of religion, is the most repressive country in the world, other than say North Korea – they can't do anything here," Pipes said of Brat's legislation, which he described as being "still in its infancy," but "a very important priority, because until now, it's just been ad hoc, not letting the Saudis build a mosque here or there."